i am not looking to make the truck perfect, rather just safe and sturdy. i dont want the cost of repairs to exceed the cost of new. 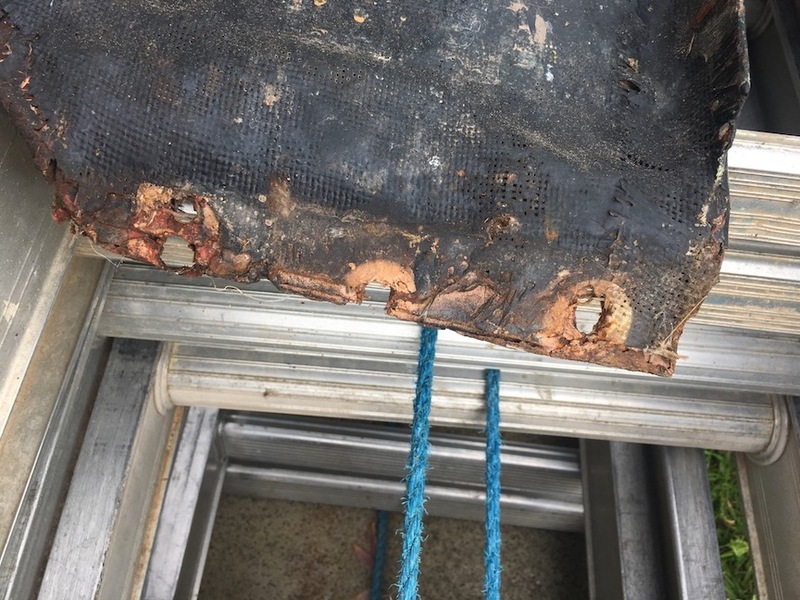 i am in the philadelphia region and would like to know if there are any welding shops around that can do the work. Seeing that you own a model T. You should try to weld it yourself. There’s some great you tube videos out there, to teach you how to weld. It just might be helpful if you need to weld something again later. Plus by the time you find someone who can the work for you the price would be the same as if you bought all of the the equipment yourself. You tube is free! Consider buying a Oxy-Acetylene torch and learn how to gas weld. The torch is a incredibly useful tool. Joe buy a mig welder and do it yourself. Lots of instruction on you tube. You will be pleased with your repairs after a little practice. Network with folks in the antique car hobby in your area and see if any of them do welding and painting at home or know somebody who does it for other guys in the hobby. Also, welders, fabricators and body men in more rural areas may be more conducive to helping you out. The automotive services section on Craigslist is also a good place to look for guys who do welding, fabrication and painting for hobbyists. I just had some tears welded on one of my fenders. My buddy used his little 110 volt Craftsman MIG welder. I think he said he got it on sale for a couple hundred. The big expense was the tank of argon. Take care, if you decide to try it yourself. Even though the sheet metal on a T is thicker than anything being made today, it's still really easy to burn holes in your panel with a hot arc. 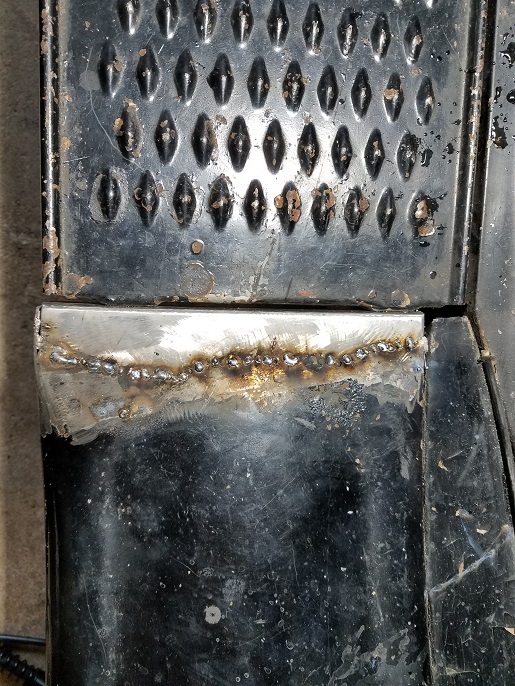 There were a couple spots that we welded small patches on the back side of the splits to add strength and give a little something extra to absorb the heat. 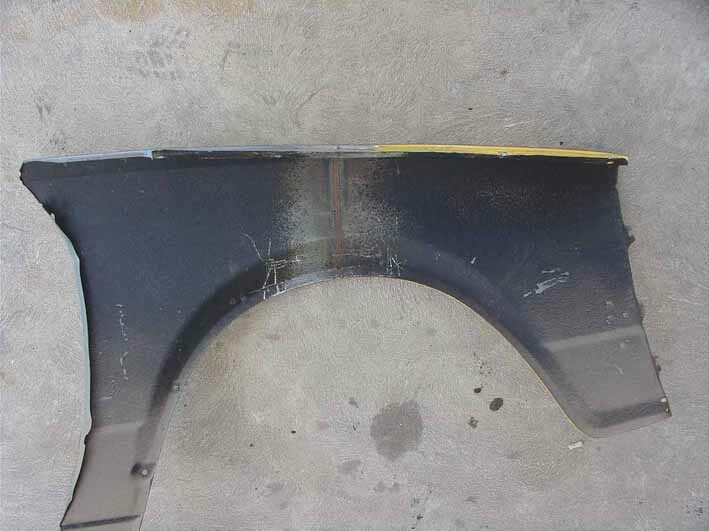 Joe, My 1927 right front fender rotted where connected to the running board. Local body shop would have done the job for $500 for that amount, I bought a small MIG welder and spent a few hours learning how to weld thin sheet metal (it does take a little work to learn the settings needed to weld and not melt holes; Youtube videos were a great help!) then did the repair myself. Like you, I wanted it functional and not a museum piece. Now I have a MIG welder and skills needed to address other tacks. Just ordered a new muffler and will weld the end caps on myself rather than ordering the more expensive welded muffler. Hi Joe, check out the two T clubs in the Philadelphia area, I'm sure the members would be willing to help, or point you in the right direction. There has been a few posts on the forum here in the past week about welding. It is a skill that has to be learnt with a lot of practice. I worked in a college where teenagers were taught to weld for body repairs, here is one of the exercises they do. Two of the same make of guards are cut in half, the parts swapped and then welded together with Oxy Acetylene welding gear. The join is then hand filed smooth, done properly the join is invisible. The oxy weld is similar to the metal in the guards not like MIG welds which are hard requiring them to be ground down. This could turn out to be my new career! ok,that sheet metal from the heating and air guy might be galvanized. 2 concerns. 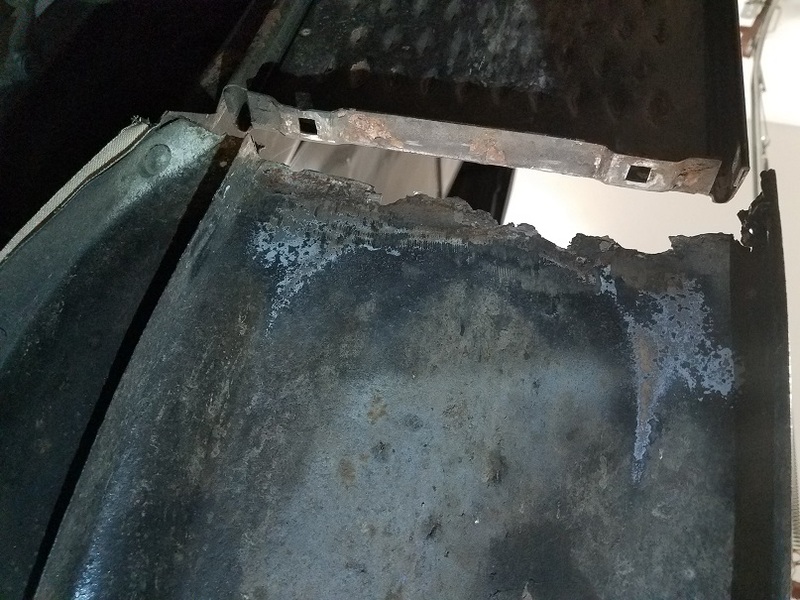 1, fumes are not healthy to breath.2, you will need to clean off ALL the galvanize compound from both sides of the metal to keep it from interfering with the quality of the weld. Yes it can be welded,but for practice, go to the local junk yard and get a fender off something wrecked and cut it in 2 and weld it back. 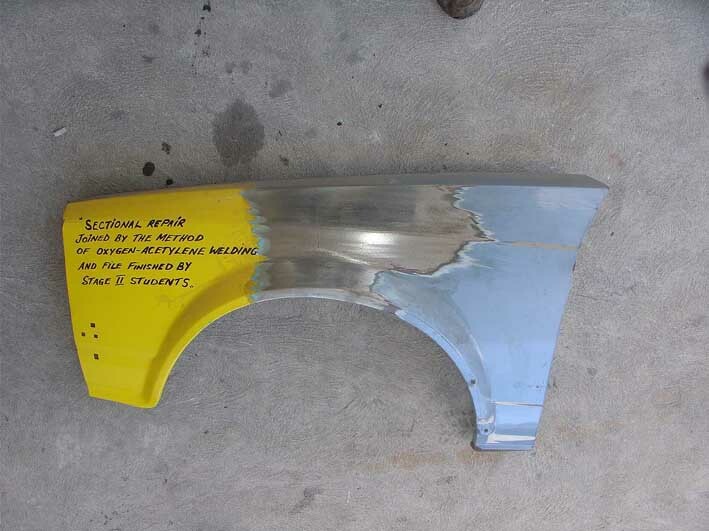 Paint can be ground off easyer and you will be working with something more like your T parts. 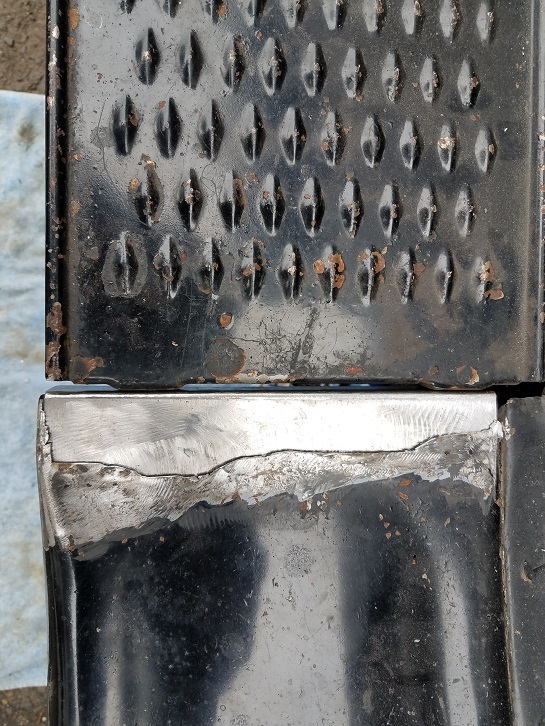 Others may chime in more but please,do be careful welding galvanize. When mig welding thin steel, you can weld in small bursts, watching the puddle cool. As soon as it starts to cool, hit it again. You can run more heat than a continuous bead will allow, and end with a stronger, better looking bead. Also use good quality flap discs to flatten the welds. They allow the weld to be finished down to the level of the steel, without touching the steel. I think my car was "restored" in the early 1950's. Here is what I found when taking the fenders off: fiberglass on the underside. I am going to buy other fenders when I get a chance as I think these are too far gone. I put these back on after sealing the area. The top side of the fender doesn't look to bad.